Chinese President Xi Jinping has congratulated the two astronauts aboard the space lab Tiangong-2 at the Beijing Aerospace Control Center on Wednesday, local media reported. The Tiangong-2 space lab was launched on September 15 and maintained a preset orbit 393 kilometers above Earth’s surface, where it docked on October 19 with the Shenzhou-11 spacecraft which initially carried the two astronauts. The astronauts, Jing Haipeng, 50, and Chen Dong, 37, are due to remain aboard the space lab for another 10 days, according to initial planning. They have been working on a permanent life support system which will be part of a future Chinese space station expected to come into operation in 2022, which will remain at that preset orbit. Jing and Chen will also be making preparations for an April 2017 launch of China’s first space cargo ship – the Tianzhou-1, which will also dock with the space lab, supplying it with fuel and other equipment. 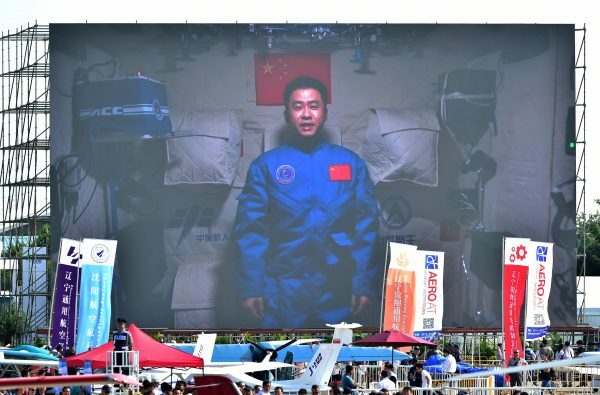 China has spent billions on the space industry and space technology over the past decade to compete with American and Russian space programs, as well as other Asian rivals like India and Japan. China plans to send a rover to Mars around 2020, and land by 2021, to explore the Red Planet and launch 150 long range carrier rockets in the next five years for its ambitious space missions. Read more: A BRICS Space Race?